The Idaho Vandals are the college football team that represents the University of Idaho and plays its home games at the Kibbie Dome, an indoor facility on campus in Moscow. Idaho is a football-only member of the Sun Belt Conference in the Football Bowl Subdivision (FBS) of NCAA Division I. The current head coach is Paul Petrino, in his third season in 2015. The Idaho football program began competing 123 years ago in 1893, and through the 2015 season, the Vandals have an all-time record of 446–598–26 (.420). They have played in two bowl games in their history, close victories in the Humanitarian Bowl in Boise in 1998 and 2009. On April 28, 2016, the University announced the football program would drop down to FCS from FBS beginning in the 2018 season. The University of Idaho fielded its first football team in 1893. It wasn't until 1917 that the program earned its nickname, the Vandals, after the schools basketball team played defense with such ferocity that they "vandalized" their opponents and, thus, the nickname of Vandals was adopted for all school sports. Fred Herbold served as the Vandals head football coach in 1900 and 1901, compiling a record of 4–2–1. In 1902, John G. Griffith was hired as head football coach and athletic director at the University of Idaho. When Iowa football coach Alden Knipe retired after the 1902 season, school officials considered hiring Griffith but went with John Chalmers instead. Griffith continued as Idaho's head football coach through 1906. In coach Robert Mathews' four seasons as head coach, the Vandals' first years in the Pacific Coast Conference, they won three consecutive rivalry games over Washington State. Idaho lost the other, Mathews' first in 1922, by a single point, and he remains the only Idaho head coach to date with multiple wins over WSU. The Vandals made their first significant use of the forward pass under Mathews. Charles Erb was hired in May 1926 as head coach and director of athletics of the Vandals, where he compiled a 10–9–5 record in three seasons. Leo Calland led the Vandals football program from 1929-1934, compiling a record of 21-30. Ted Bank, a heralded football player at Michigan under Fielding Yost, left his post as Tulane running backs coach to serve as head coach of the Vandals from 1935-1940. Following a 4–3-– record in his third season on the Palouse in 1937, Bank was on the short list of many to succeed Harry Kipke as head coach at Michigan, his alma mater. Bank denied interest in replacing Kipke, a teammate at Michigan, and told the press, "I am perfectly satisfied at Idaho. I have not been contacted by the Michigan athletic board and would think twice before leaving Idaho." In January 1938, Idaho's state board of education announced that Bank had signed a three-year contract renewal and would remain as the university's football coach and director of physical education. His best season came that season, when the Vandals finished with a record of 6–3–1, with victories over Oregon State, Utah, and Utah State, and a tie with Washington. The successes of 1937 and 1938 was not maintained as Idaho went 2–6 in 1939 and 1–7–1 in 1940 (and winless in conference games), giving Bank a six-year overall record of 18–33–3 (.361). Bank was fired as the Vandals' head football coach in January 1941, part of an upheaval that included the resignation of the head basketball coach. 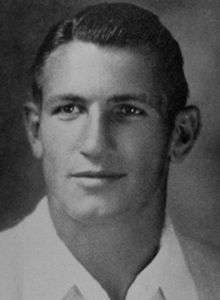 James Brown led the Vandals football program in 1945 and 1946, compiling yearly records of 1-7 and 1-8 for a total of 2-15. Dixie Howell, a former star running back at Alabama under Frank Thomas, was hired as head football coach at Idaho in February 1947, and guided the usually-struggling Vandals to a promising 4–4 record in his first season in Moscow, the Vandals' best since 1938. The Vandals beat Stanford on the road, a team that had defeated them 45–0 the previous year (but went winless in 1947). It was Idaho's second-ever football victory over a PCC team from California, following a victory over first-year UCLA in 1928. The Vandals also knocked off an undefeated Utah in the season finale in Boise. The Vandals drew a Palouse and state record crowd to Neale Stadium for their annual rivalry game with Washington State in October, albeit a close 7–0 loss to the Cougars. These promising factors earned Howell a two-year contract extension through 1950. The progress did not continue, as the Vandals opened the 1948 season with four losses and went 3–6 overall and 1–5 in conference, defeating only Montana for the Little Brown Stein. Idaho played Washington State close at Rogers Field in Pullman and gave Oregon a scare in Moscow. The Webfoots, with Norm Van Brocklin and John McKay, went 7–0 in conference and were co-champions with California. Howell's relationship with Idaho fans and the administration was strained following the 1949 season. The Vandals went 3–5 and 1–4 in conference that season, defeating only departing Montana again. Their two non-conference wins were against overmatched opponents Willamette and Portland, and the Vandals were severely outscored 230–45 in their five losses, capped by a 63–0 loss at Stanford to end the season. Howell felt compelled to publicly deny rumors in April that he would leave before the 1950 season. The Vandals posted a 3–5–1 record in 1950 and 1–1–1 in conference, and Howell's contract was not renewed in March 1951. Ray Curfman remained on campus as an interim head coach for the upcoming 1951 spring drills after Howell's departure. The administration was impressed with his handling of the team during the first week of practice and made him the permanent head coach in mid-April. He guided the Vandals for three seasons in the Pacific Coast Conference and compiled a 7–19–1 (.278) record. His salary in his final year at Idaho in 1953 was $7,920. Curfman and the Vandals made headlines during the 1953 season Idaho struggled in conference play in the PCC. Curfman resigned as Idaho's head coach in December 1953. Skip Stahley, former head football coach at Toledo, returned to college football in February 1954 as the head coach of the Vandals. at an annual salary of $9,000. The Vandals had finished the 1953 season at 1–8 under third-year head coach Babe Curfman. Stahley compiled a 22–51–1 (.304) record in eight seasons in Moscow. While on the Palouse, he coached future NFL notables Jerry Kramer, Wayne Walker, Jim Prestel, and AFL all-star Jim Norton. The Vandals were members of the Pacific Coast Conference for Stahley's first five seasons, then played as an independent when the conference disbanded. Idaho's only conference victory under Stahley came in his first season: the winless Vandals (0–5) surprised and shut out rival Washington State 10–0 in Pullman in the Battle of the Palouse in 1954. It was Idaho's first victory in football over the Cougars in 29 years, and the subsequent march by WSC students from Pullman to Moscow was featured in Life magazine: The win started a four-game winning streak, Idaho's longest in 31 years, to finish at 4–5 for the 1954 season. The Vandals waited a full decade before they beat the Cougars again, in 1964. When Idaho athletic director Bob Gibb left in 1960, Stahley took over those duties in July for four years. He handled both jobs for a year and a half, then stepped down under pressure as football coach in January 1962. Illinois assistant coach Dee Andros became head coach of the Vandals at age 37 at in February 1962. Andros' starting annual salary was just under $12,500. The 1962 team was 2–6–1, but the following year he led Idaho to its first winning season (5–4) in a quarter century. The tenth and final game of the 1963 season, a road game at Arizona State on November 23 was canceled, following the assassination of President John F. Kennedy. The Vandals won their opener in 1964, but then lost four straight, the latter two were close ones to Oregon and Oregon State. The 10–7 loss to the Rose Bowl-bound Beavers in Corvallis came by a late third quarter OSU punt return. The Vandals rebounded and the next week won the Battle of the Palouse for the first time in a decade, defeating neighbor Washington State 28–13. The Cougars were led by first-year head coach Bert Clark, a former Sooner teammate. The Vandals split the final four games to finish at 4–6. While Idaho had joined the Big Sky Conference as a charter member in 1963, the Vandals essentially remained an independent for football through 1964 under Andros. Only one conference foe was played during the first two Big Sky seasons, a 1963 game with Idaho State that was previously scheduled. Andros spent three seasons at Idaho, with an overall record of 11–16–1. Steve Musseau, an assistant coach for the Vandals and previously at Orange Coast College, was selected as the next Vandals head coach in 1965. Musseau's 1965 team, with fullback Ray McDonald, won the Battle of the Palouse over Washington State for the second straight year, this time on the road in Pullman, and finished at 5–5. Although Idaho was a charter member was the Big Sky Conference in 1963, it had only played one conference game in football in the first two seasons, a previously scheduled game against Idaho State. Idaho was a "university division" program and a longtime member of the defunct PCC, while the other four football-playing members of the Big Sky were "college division" (Division II). Under Andros, Idaho viewed the six-team Big Sky as an answer to its basketball scheduling problems, as well as other sports, but had desired to continue as an independent at the top level in football. Directed by the conference to comply, Idaho played its first full conference schedule in football in 1965 and was 3–1 for the first two seasons, but posted a disappointing 2–2 in the third. A November defeat at Weber State and non-conference blowout losses at Washington State (14–52) and Houston (6–77) closed out the 1967 season at 4–6 overall. Although his 13–17 (.433) record was better than each of the previous eight head coaches, pressure from alumni and boosters forced Musseau's resignation, despite a signed petition by the Vandal football players that he remain for a fourth year. His salary during his final year as head coach was $13,900. Coach Y. C. McNease succeeded Musseau as the Vandals head football coach and placed a new emphasis on the passing game; the 1968 Vandals were 5–5 and 3–1 in the Big Sky but the next year the team struggled with injuries and slipped to 2–8 with only one win in conference in 1969. After just two seasons in Moscow, McNease was dismissed in May 1970 following spring practices. Though reasons were not fully disclosed by the university, it was attributed to his disciplinary tactics and player unrest. Additionally, an altercation reportedly occurred with a player in a Memorial Gym hallway and resulted in a ripped coat. Several months after his dismissal, McNease filed a $1 million breach of contract lawsuit in U.S. District Court against the university of Idaho. An out-of-court settlement was reached in 1973 for just under $24,800. When McNease was dismissed after spring drills in May 1970, Don Robbins was promoted from an assistant coach to head coach of the Vandals. His 1971 team had the best record (8-3) in the history of the school, but the next two seasons were less successful and he was dismissed in November 1973. The Idaho athletics administration turned to yet another Vandals assistant coach to right the ship. Ed Troxel, who had served as an assistant coach of the staffs of Musseau, McNease and Robbins, was promoted to the position of head coach. Troxel had turned down the head football job in May 1970 and again in December 1973, but later accepted after persuasion from his players and concessions from the new athletic director, namely a fourth assistant coach. His annual salary for the first season in 1974 was $16,500, which was $1,500 less than his predecessor Don Robbins. One of Troxel's notable hires was his first offensive coordinator, a 27-year-old Dennis Erickson, who was hired away from Montana State and stayed for two seasons. His replacement was Jack Elway, recently at WSU, but Elway left in March after just five weeks on staff to become a Division II head coach in southern California. Despite this turnover at OC before Troxel's third season in 1976, the Vandals went 7-4 (5-1 in the Big Sky), with center John Yarno selected as a Division I first-team AP All-American. At the time, it was the Vandals' second best football record in history, surpassed only by the 1971 team at 8-3. With key players lost to graduation and beset by injuries, Idaho fell to 3-8 in 1977 and five weeks later, on December 30, Troxel was requested to resign by new UI president Richard Gibb. The involuntary resignation ended Troxel's four years as head coach and 11 football seasons at the university. The Vandals finally turned to a coach from outside the Idaho program to fill its head coaching vacancy, hiring Air Force offensive line and wide receivers coach Jerry Davitch. His annual salary was $26,000. At the time, the Idaho football program had posted just four winning seasons in over four decades, and the last four head coaches had been fired after three or four seasons. In addition, no Vandal head football coach had left with a winning record since 1928. Davitch retained the veer option on offense, but the progress was slow in his first two seasons. In 1980, the improving Vandals went 6–5 with redshirt freshman quarterback Ken Hobart, with a 4-3 receord in conference play. The "Gold Rush" Vandals were picked as one of the top five teams in Division I-AA by Sports Illustrated before the 1981 season. The Vandals lost close games and then were hit by injuries; they lost their final six games to finish at 3-8 in 1981, winless and in last place in the Big Sky. (Mercurial Idaho State won the Big Sky and the Division I-AA title in 1981.) Davitch compiled a record of 15–29 (.341) in his four seasons in Moscow and became the fifth consecutive head coach to fired. He was notified nine days before his final game (a 43–45 home loss to rival Boise State, the defending I-AA national champions). 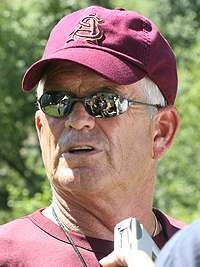 34-year-old Dennis Erickson, a former Vandals, Fresno State, and San Jose State offensive coordinator, was hired on December 11, 1981, to succeed Davitch. Erickson was hired by UI athletic director Bill Belknap and accepted a one-year contract at $38,001. His most notable recruits at Idaho were his quarterbacks - future NFL head coach Scott Linehan, who had future Oakland Raiders head coach Tom Cable blocking for him, and future College Football Hall of Famer John Friesz, who had Mark Schlereth blocking for him. Erickson revived Vandal football and quickly turned it into a top I-AA program, but he wouldn't stick around. Erickson departed after the 1985 season to accept the head coaching position at Wyoming. 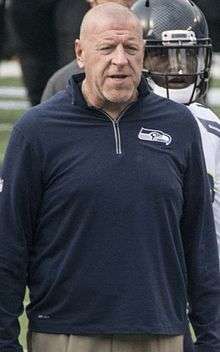 From there, Erickson had successful head coaching tenures at Washington State and Miami before serving as a head coach with the NFL's Seattle Seahawks and San Francisco 49ers. He also served as head coach at Oregon State and Arizona State. But what folks couldn't imagine was a return from Coach Erickson, which would happen in 2006. After Erickson's departure, Idaho promoted offensive coordinator Keith Gilbertson to head coach. In his three seasons in Moscow as head coach, Gilbertson's win-loss record was 28–9 (.757). Following consecutive conference championships and advancing to the Division I-AA national semifinals, Gilbertson interviewed at UTEP in December 1988 but withdrew from consideration. Days later he accepted an offer to coach the offensive line in the Pac-10 at Washington in Seattle under head coach Don James and offensive coordinator Gary Pinkel. Washington State defensive coordinator and Idaho Falls native John L. Smith, who served in the same post with the Vandals from 1982-1985 under Dennis Erickson, was hired to replace Gilbertson. Smith posted a 53–21 record (.716) in six seasons as the head coach at Idaho. Under his leadership, the Vandals won two Big Sky conference championships and made the 16-team NCAA Division I-AA playoffs five times, advancing to the national semifinals in 1993. Smith's 53 wins are the most in school history. His starting salary at Idaho was under $60,000, but in 1991 he became the first UI coach to be granted a multi-year contract. Smith inherited an 11–2 team from Keith Gilbertson that had made the I-AA semifinals in 1988, and returned All-American quarterback in John Friesz. Despite losing the first two games of the 1989 season to Washington State and Portland State, Idaho went undefeated (8–0) in conference play, the only time in school history. The Vandals lost in the first round of the I-AA playoffs, and finished at 9–3. Friesz won the Walter Payton Award and was drafted in the 1990 NFL Draft by the San Diego Chargers and spent a decade in the NFL. Smith's next quarterback at Idaho was southpaw Doug Nussmeier, who threw for over 10,000 yards and won the Walter Payton Award in 1993; he was drafted in the fourth round by the New Orleans Saints in the 1994 NFL Draft. Smith left Idaho after the 1994 season to accept the position of head football coach at Utah State. Smith would go on to head coaching tenures at Louisville, Michigan State and Arkansas. Washington assistant coach and former Vandal player Chris Tormey was named as John L. Smith's replacement. His starting salary in 1995 was $71,868. In his five seasons at the helm in Moscow, Tormey compiled a 33–23 record, including the Vandals' first-ever bowl appearance in 1998 in the Humanitarian Bowl, a 42–35 victory over 16-point favorite Southern Miss. The Vandals earned the bowl berth by winning the Big West title with a dramatic one-point overtime win over rival Boise State, on the road in Bronco Stadium in Boise. (Although this was Idaho's 15th win in the last 17 games in this rivalry, the 1998 win remains their most recent over BSU.) The bowl victory propelled Idaho to an impressive 9–3 record in 1998, their third season back in Division I-A, and Tormey was named coach of the year in the Big West. Before the season, the Sporting News had Idaho ranked last of 112 teams in Division I-A. 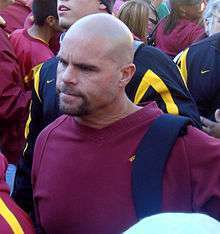 Tormey interviewed in early January for the open position at Washington in Seattle, which went to Rick Neuheisel. He also interviewed at Oregon State, which hired Dennis Erickson to replace Mike Riley. The Vandals went 7–4 in 1999, including a 28–17 win over neighboring Washington State. It was Idaho's first football victory over WSU in 34 years, breaking the Cougars' 14-game winning streak in the lopsided series. Following the 1999 season, Tormey left his alma mater to become head coach at Nevada. Colorado offensive coordinator Tom Cable, another Idaho alum, was hired as the Vandals head football coach in 2000. He signed a three-year contract at $170,000 per year ($120,000 base and $50,000 media bonus) plus $30,000 in incentives. Cable's first year, 2000, was his best, with a 5–6 record. He managed only six victories in the next three seasons, resulting in a disappointing record of 11–35 (.239), in four losing seasons. Following the 2003 season, Cable became the first Idaho head football coach fired in 22 years; his four predecessors had all achieved success in with the Vandals and moved on. USC linebackers coach Nick Holt was hired to replace Cable as head coach. Holt signed a contract that paid him $205,000 per year. The Vandals went 3–9 in 2004, which was their last season in the Sun Belt Conference and 2–9 in 2005, their first season in the WAC. During his short tenure at Idaho, a game was scheduled between the Vandals and his former Trojans for September 1, 2007. Holt decided to take the game because it offered an opportunity to increase visibility to recruits in the region as well earn Idaho $600,000 for the appearance. However, despite a contract that ran through 2008, Holt departed after two seasons and a 5-18 record to return to USC to serve as defensive coordinator and defensive line coach, 19 months before the game was played. In a surprise turn of events, former Vandals head coach Dennis Erickson was rehired as the Vandals head coach after Holt's departure. When asked at his (re)introductory press conference if Idaho was indeed a long-term arrangement, Erickson responded, "You want to look at the age on my driver's license?...This, hopefully, is going to be my last job." Erickson's rejuvenated 2006 Vandals broke to a 4–3 record and were and 3–0 in the WAC, then lost the final five conference games to finish at 4–8 overall and sixth in the WAC. Erickson was paid $215,000 by Idaho and nearly $2.3 million by the 49ers for the fourth year of his NFL contract. Erickson wouldn't stay true to his word, as he left the Vandals to accept the position of head coach at Arizona State. WSU defensive coordinator Robb Akey was hired to replace Erickson. Akey was the first Idaho head coach since Jerry Davitch without previous ties to the Vandals football program, either as a former player or coach. However, had familiarity with the program, as he lived eight miles from the University of Idaho campus for eight seasons, with Idaho as an opponent in each of those seasons. 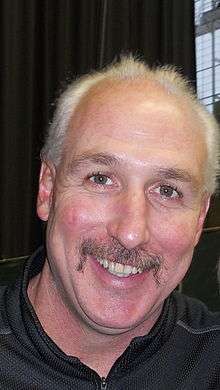 In addition, Akey either played or coached against the Vandals for a dozen seasons (1984–95), while a player and assistant coach in the Big Sky. Akey's tenure included two bowl eligible seasons (8-5 in 2009 with a Humanitarian Bowl win and 6-7 in 2010) as Vandals head coach, but his tenure ended in 2012, when Idaho fired him following a 70–28 loss on October 21 to Louisiana Tech, moving the team's overall record to 1–7 for the season. Akey departed the Vandals with a record of 20-50. On December 2, 2012, Arkansas offensive coordinator Paul Petrino, brother of former Atlanta Falcons and Arkansas and current Louisville head coach Bobby Petrino, was named the new head coach of the Idaho Vandals, where he had worked previously as an assistant coach under John L. Smith. After the announcement, Arkansas athletic director Jeff Long praised Idaho's hiring of Paul Petrino, saying he would have named Petrino the interim Arkansas head coach if not for his brother Bobby's resignation after a scandal. Petrino returned to Moscow with a reputation as an offensive mastermind, having been behind explosive offenses as an assistant coach at Utah State, Louisville, Southern Miss, the Atlanta Falcons and Illinois. Paul Petrino had extensive recruiting ties in the western and southern United States. He worked as an assistant coach under both his brother and former Vandals head coach John L. Smith. The Vandals struggled in Petrino's first two seasons, posting back to back one-win campaigns in 2013 and 2014. The Vandals 2014 season opener against Florida was canceled after the opening kickoff due to inclement weather, however, Idaho still received the $975,000 in the agreement with Florida to play the game in Gainesville. In 2015, the Vandals improved to a 4-8 record. The Boise State – Idaho rivalry began with a Bronco victory in the first meeting in 1971. They met every year through 2010, and with the exception of four years, (2001-2004), the matchup was a conference game. The rivalry was dominated by streaks as Idaho won 12 straight years from 1982–1993, while Boise State won the most recent 12 games between 1999-2010, mostly by large margins. BSU leads the rivalry with a series record of 22–17–1 (.563). After Boise State's move to the Mountain West Conference in 2011, Boise State has refused to play Idaho home and home in football. In response, Idaho has refused to play Boise State at Taco Bell Arena for men's basketball. As of 2015, no future games for football or men's basketball are currently scheduled. Known as the Battle of the Palouse, the first game between Idaho and Washington State was played in November 1894 and resulted in a win for Washington State. The game in 1898 was not played because Idaho had an ineligible ringer from Lapwai, F.J. McFarland, a recent All-American from Carlisle. The Vandals' first-ever forward pass was attempted against the Cougars in 1907: it was completed for a touchdown from a drop-kick formation in the fourth quarter and led to a 5–4 victory. Washington State has dominated the local rivalry, holding a 72–16–3 lead. The record since 1926 is even more dominant, with a 57–5–2 advantage for the Cougars. The longest winning streak for Idaho was three games (1923–1925), and has only five victories since that three-peat (1954, 1964, 1965, 1999, & 2000) and two ties (1927, 1950) to offset the 56 losses. The games were skipped in 1969 and 1971, which was unfortunate for Idaho as the 1971 Vandals posted one of the best records (8–3) in school history, while WSU was 4–7. The rivalry became increasingly one-sided as WSU dominated in the 1970s (except for 1974) and the original series ended, following the 1978 game. From 1979 to 1997, the game was played just twice (1982, and 1989) until the 10-year renewal from 1998–2007. Since their last wins in 1999 and 2000, Idaho has been physically outmatched in most of the nine games; the game has been played twice since 2007: in 2013 and 2016. In a span of less than five months, from November 1969 to April 1970, both schools' aged wooden stadiums (Idaho's Neale Stadium and WSU's Rogers Field burned down due to suspected arson. The WSU–Idaho game in 1970 was dubbed the Displaced Bowl, which was held in Joe Albi Stadium in Spokane on September 19. The Cougars won the game (their only win that season), as well as the next ten against the Vandals. The 1970 game was the first in the rivalry played on AstroTurf, which was new to Joe Albi that season. In 1978, the NCAA split Division I football in two: I-A (now FBS) and I-AA (now FCS). Washington State was in Division I-A as part of the Pac-10 Conference and Idaho downgraded to I-AA as part of the Big Sky Conference, whose other football members moved up from Division II. In the late 1970s, I-A football programs were allowed 50% more scholarships and twice as many assistant coaches as I-AA teams. During the years they were in different divisions, the schools met only twice, 1982 in Spokane and 1989 in Pullman. In 1996, Idaho moved back up to Division I-A in the Big West Conference, and Idaho and WSU rekindled their century-old rivalry. Since the rivalry was reinstated in 1998, every game has been played at Martin Stadium in Pullman, except for the matchup in 2003, which was played at Seattle's Seahawks Stadium. The last game played on the Idaho side of the border was in 1966, a come-from-behind 14–7 Cougar victory on a very muddy field to prevent a Vandal three-peat. After ten years of the renewed rivalry, Vandals head coach Robb Akey, previously WSU's defensive coordinator, said in 2008 that he preferred the game not be played every year, instead saying he would prefer it as a "once-in-a-while thing." Only one game was played during Akey's tenure, in his first season in 2007, and he was fired in October 2012. The meeting in 2013 on September 21 was a one-year revival, but the future of the series under current Vandal head coach Paul Petrino is unclear. WSU won 56–6 in 2016. The next meeting is scheduled for 2020 in Pullman. Idaho returns to the Football Championship Subdivision and the Big Sky Conference in 2018. The Idaho football program began competing 123 years ago in 1893, and was a member of the Pacific Coast Conference from 1922 to 1958. It was then an independent until 1965, when it began league play in the Big Sky Conference. At the time, the other four football programs in the conference were members of the College Division (today's Division II), while Idaho remained a member of the University Division (today's Division I) through 1977, except for an involuntary demotion for 1967 and 1968. It maintained its status by playing a majority of games against University Division opponents. On August 18, 2012, Idaho was cleared to stay in the Football Bowl Subdivision as an independent after the WAC announced it would drop football effective with the end of the 2012 season. Idaho would only remain a football independent for the 2013 season; on March 27 of that year, the Sun Belt Conference announced that Idaho would return as a football-only member starting with the 2014 season. Nearly two years later in 2016, the Sun Belt Conference announced via teleconference that neither the University of Idaho nor New Mexico State University would be renewed after the 2017 football season. Idaho will resume full membership in the Big Sky Conference in 2018 which participates in the Football Championship Subdivision. nine of them in the Big Sky. The Vandals have played in two bowls since rejoining the FBS and have won both. They will play in their third bowl game on December 22, 2016. Ray McDonald, 13th overall pick in 1967 draft, running back for the Washington Redskins, 1967–68. Jake Scott – guard for the Philadelphia Eagles (2012– ), Tennessee Titans (2008–11), Indianapolis Colts (2004–07), including Super Bowl XLI. ↑ "University of Idaho - Color Usage". Retrieved 2016-11-04. ↑ "Kibbie Dome". IdahoPTV. Retrieved 2010-12-23. 1 2 "Idaho Historical Data". College Football Data Warehouse. Retrieved January 20, 2015. ↑ "Football Bowl Subdivision Records". NCAA. p. 66. Retrieved 2011-09-02. 1 2 "Idaho Bowl History". College Football Data Warehouse. Retrieved 2010-12-23. ↑ "Rumor Says Ted Bank of Idaho Amongst List of Possible Successors to Kipke at Michigan: Vandal Eleven's Pilot Is Silent Regarding Situation". Spokane Daily Chronicle. December 13, 1937. ↑ "Bank Slated for Michigan Post". Eugene Register-Guard. December 14, 1937. ↑ "TED BANK DENIES HE IS SEEKING KIPKE'S POST: NOT IN THE RUNNING SAYS HARRY'S TEAM MATE". The Evening News, Sault Ste. Marie, Michigan. December 15, 1937. ↑ "Bank Stays at Idaho". Los Angeles Times (AP story). January 11, 1938. ↑ "Football". Gem of the Mountains, University of Idaho yearbook. 1939. p. 300. ↑ "1938 Idaho". College Football Data Warehouse. ↑ "Vandals gridders are happy, but –". Spokane Daily Chronicle. November 25, 1963. p. 16. ↑ "Idaho Yearly Totals". College Football Data Warehouse. ↑ "Theodore P. "Ted" Bank Records by Year". College Football Data Warehouse. ↑ "Report Has Idaho Gridiron Coach and Aide On Way Out: Bank, Tessier List for Ax in Big Upheaval". Spokane Daily Chronicle. January 17, 1941. ↑ "Two Big Universities Eye Ted Bank for Coaching Position: Fired Idaho Mentor in line for East, Midwest Posts". Spokane Daily Chronicle. January 20, 1941. ↑ "Ted Bank Fired by Idaho U.". Los Angeles Times (AP story). January 19, 1941. ↑ "Howell signed by Idaho U.". Tuscaloosa News. Alabama. Associated Press. February 27, 1947. p. 9. ↑ "Football (fall 1947)". Gem of the Mountains. University of Idaho yearbook. 1948. pp. 282–294. ↑ "Cougars claw Idaho Vandals 7-0". Spokesman-Review. Spokane, Washington. October 5, 1947. p. 1-sports. ↑ "Grid fans pack Moscow stadium". Spokane Daily Chronicle. Washington. October 4, 1947. p. 1. ↑ "Dixie Howell signs new two-year contract as Idaho football coach". Lewiston Morning Tribune. Idaho. April 28, 1948. p. 8. ↑ "Dixie Howell signs new Idaho contract". Spokane Daily Chronicle. Washington. April 27, 1948. p. 21. ↑ "Action in pictures of Idaho's valiant losing battle against Oregon". Spokesman-Review. Spokane, Washington. October 10, 1948. p. 3-sports. ↑ "Report says Howell under fire". Lewiston Morning Tribune. Idaho. Associated Press. April 8, 1950. p. 8. ↑ "Idaho - 1945-49". College Football Data Warehouse. yearly results. Retrieved October 20, 2014. ↑ "Howell denies he will leave Idaho grid job". Spokane Daily Chronicle. Washington. April 18, 1950. p. 17. ↑ "Dixie Howell resigns as Idaho football coach". Spokane Daily Chronicle. Washington. March 27, 1951. p. 21. ↑ "Idaho selects Curfman as coach". Spokesman-Review. Spokane, Washington. April 17, 1951. p. 14. ↑ "Salary of $9000 set for Stahley". Spokane Daily Chronicle. Washington. United Press. February 23, 1954. p. 16. ↑ "Vandal gridders rated too 'pure'". Eugene Register-Guard. Oregon. Associated Press. October 20, 1953. p. 3B. ↑ "Curfman and three aides resign posts at Idaho". Spokane Daily Chronicle. Washington. December 21, 1953. p. 21. ↑ "'Circumstances' force Curfman's resignation". Spokesman-Review. Spokane, Washington. December 22, 1953. p. 12. 1 2 "Idaho plans thorough search for coach; Curfman out". Spokane Daily Chronicle. Washington. December 22, 1953. p. 12. ↑ "Stahley chosen Idaho grid pilot". Spokesman-Review. Spokane, Washington. February 2, 1954. p. 10. ↑ "Skip Stahley named Idaho grid mentor". Ellensburg Daily Record. Washington. Associated Press. February 12, 1954. p. 6. ↑ "Stahley seeking three assistants; new Idaho coach to get free hand". Spokane Daily Chronicle. Washington. February 12, 1954. p. 10. ↑ "O.K. Stahley's $9,000 salary". Ellensburg Daily Record. Washington. Associated Press. February 23, 1954. p. 8. ↑ "Idaho regents meet in January; Babe Curfman position unsettled". Spokane Daily Chronicle. Idaho. November 23, 1953. p. 15. ↑ Missildine, Harry (May 24, 1964). "Stahley's departure conjures memories". Spokesman-Review. Spokane, Washington. p. 1-sports. ↑ "Former Idaho coach dies". Moscow-Pullman Daily News. Idaho-Washington. July 2, 1992. p. 1C. ↑ Boni, Bill (October 24, 1954). "Idaho thumps WSC, 10-0". Spokesman-Review. Spokane, Washington. p. 1-sports. ↑ ""Win made us ballclub," says Skip Stahley". Spokane Daily Chronicle. Washington. October 25, 1954. p. 17. ↑ "The March on Moscow". Life. November 15, 1954. p. 63. ↑ "Vandals win fourth in a row". Spokesman-Review. Spokane, Washington. Associated Press. November 21, 1954. p. 1-sports. ↑ "Stahley is satisfied with Vandals' season". Spokane Daily Chronicle. November 22, 1954. p. 17. ↑ Missildine, Harry (October 25, 1964). "Thunder Ray leads Idaho's charge". Spokesman-Review. Spokane, Washington. p. 1-sports. ↑ "Stahley new Idaho "A.D." in addition to grid post". Spokesman-Review. Spokane, Washington. March 22, 1960. p. 13. ↑ "Idaho regents drop Stahley from grid post". Spokesman-Review. Spokane, Washington. January 15, 1962. p. 10. ↑ "Idaho fires grid coach Skip Stahley". Eugene Register-Guard. Oregon. UPI. January 15, 1962. p. 2B. ↑ Carter, Jack (February 18, 1962). "Illinois aide Dee Andros named Idaho football coach". Lewiston Morning Tribune. Idaho. p. 8. ↑ Missildine, Harry (February 18, 1962). "Former Sooner guard new Idaho coach". Spokesman-Review. Spokane, Washington. p. 1-sports. ↑ "New Vandal coach". Spokane Daily Chronicle. Washington. (photo). February 19, 1962. p. 11. ↑ "ISC coaches lodge complaint: Idaho's salaries reported higher". Spokane Daily Chronicle. Washington. Associated Press. April 21, 1962. p. 10. ↑ Payne, Bob (November 18, 1962). "Dee is happy he took job; --"These are great kids"". Spokesman-Review. Spokane, Washington. p. 2-sports. ↑ Payne, Bob (November 17, 1963). "Idaho wins; Ford leads Cougars". Spokesman-Review. Spokane, Washington. p. 1-sports. ↑ "Naccarato 'Hec' winner for Vandals". Spokesman-Review. Spokane, Washington. November 27, 1963. p. 12. ↑ Johnson, Bob (February 1, 1965). "Dee Andros named Oregon State grid coach". Spokane Daily Chronicle. Washington. p. 15. ↑ "Idaho contest is postponed". Spokane Daily Chronicle. Washington. November 23, 1963. p. 10. ↑ "Vandal gridders are happy, but--". Spokane Daily Chronicle. Washington. November 25, 1963. p. 16. ↑ "OSU tips Vandals on punt return tally". Lewiston Morning Tribune. Idaho. October 19, 1964. p. 11. ↑ Missildine, Harry (October 25, 1964). "'Thunder Ray' leads Idaho's charge". Spokesman-Review. Spokane, Washington. p. 1-sports. ↑ "Alums stalk Idaho coach". Deseret News. Salt Lake City, Utah. UPI. November 28, 1967. p. 10B. ↑ "Musseau still leaving Idaho: petition ends in dust". The Bulletin. Bend, Oregon. UPI. November 30, 1967. p. 6. ↑ "Vandal post goes to Michigan aide". Spokane Daily Chronicle. Washington. January 11, 1968. p. 21. ↑ Payne, Bob (January 24, 1968). "The pass is here". Spokesman-Review. Spokane, Washington. p. 11. ↑ "Athletics (1968–69)". Gem of the Mountains. 1969. p. 240. ↑ "Steve Olson's future dim". Lewiston Morning Tribune. (Idaho). November 4, 1969. p. 10. ↑ "Injury-hampered Vandals will face Colorado State". Spokane Daily Chronicle. (Washington). November 10, 1969. p. 21. ↑ "McNease encouraged". Lewiston Morning Tribune. Idaho. November 23, 1969. p. 12. 1 2 "Robbins to replace McNease at Idaho". Tri-City Herald. Associated Press. May 17, 1970. p. 38. ↑ "Idaho officials debating possible coaching change". Lewiston Morning Tribune. (Idaho). May 9, 1970. p. 12. ↑ "Settlement reached in McNease suit against U of I". Lewiston Morning Tribune. Idaho. June 14, 1973. p. 15. ↑ "Settlement approved by McNease". Spokesman-Review. (Spokane, Washington). Associated Press. June 13, 1973. p. 15. ↑ Emerson, Paul (January 11, 1978). "Davitch named UI coach". Lewiston Morning Tribune. Idaho. p. B1. ↑ "Vandal cagers investigated". Spokesman Review. Spokane, Washington. Associated Press. January 12, 1978. p. 25. ↑ "Small Colleges". Sports Illustrated: 64. August 31, 1981. ↑ "Football: fall 1981". Gem of the Mountains, University of Idaho yearbook. 1982. p. 204. ↑ Emerson, Paul (November 14, 1981). "UI President Gibb says he made decision to fire Davitch". Lewiston Morning Tribune. Idaho. p. 1C. ↑ Emerson, Paul (November 13, 1981). "UI fires football coach Jerry Davitch". Lewiston Morning Tribune. Idaho. p. 1C. ↑ Emerson, Paul (November 22, 1981). "Idaho bids goodbye to Davitch with loss". Lewiston Morning Tribune. Idaho. p. 2D. ↑ College Football Data Warehouse - Idaho opponents - Boise St.
↑ Boling, Dave (December 6, 1985). "Idaho passes the football to Gilbertson". Spokane Chronicle. Washington. p. C1. ↑ Boling, Dave (December 21, 1988). "Gilbertson withdraws". Spokane Chronicle. Washington. p. C1. ↑ "Goodbye Gilby". Lewiston Morning Tribune. Idaho. Associated Press and staff reports. December 24, 1988. p. B1. ↑ Meehan, Jim (December 24, 1988). "Official: Gilbertson leaving Vandals to accept Husky post". Idahonian. Moscow. p. 1D. ↑ "Former Idaho coach key for Huskies". Ellensburg Daily Record. Washington. Associated Press. December 28, 1990. p. 12. ↑ "Board approves Tormey contract". Moscow-Pullman Daily News. (Idaho-Washington). March 23, 1995. p. 1D. ↑ Meehan, Jim (December 30, 1998). "Idaho looks for huge upset". Spokesman-Review. (Spokane, Washington). p. C1. ↑ Blanchette, John (December 31, 1998). "Destiny smiles on Idaho". Spokesman-Review. (Spokane, Washington). p. C1. ↑ Pond, Alex (December 31, 1998). "Vandals win! Vandals win!". Moscow-Pullman Daily News. p. 1A. ↑ Pond, Alex (November 23, 1998). "The call to glory". Moscow-Pullman Daily News. (Idaho-Washington). p. 1C. ↑ Pond, Alex (December 31, 1998). "Vandals victorious: from chumps to champs". Moscow-Pullman Daily News. (Idaho-Washington). p. 1C. ↑ Meehan, Jim (January 5, 1999). "Tormey interviews at UW". Spokesman-Review. (Spokane, Washington). p. C5. ↑ Pond, Alex (January 23, 1999). "Just happy to be here". Moscow-Pullman Daily News. (Idaho-Washington). p. 1D. ↑ Blanchette, John (September 19, 1999). "Down for the long count". Spokesman-Review. p. C1. ↑ Pond, Alex (September 20, 1999). "Vandals rule the Palouse". Moscow-Pullman Daily News. (Idaho-Washington). p. 1B. ↑ Meehan, Jim (December 9, 1999). "Tormey accepts Nevada head coach job". Spokesman-Review. (Spokane, Washington). p. C1. ↑ Pond, Alex (December 9, 1999). "Idaho players understand coach's decision". Moscow-Pullman Daily News. (Idaho-Washington). p. 1B. ↑ Meehan, Jim (December 9, 2003). "It's official: Holt Idaho's head man". Spokesman-Review. p. C1. ↑ "Idaho names USC's Holt head coach". SI.com. Associated Press. December 9, 2003. Retrieved September 8, 2013. ↑ "Idaho coach Holt confirms exit for NFL's Rams". ESPN. Associated Press. February 8, 2006. Retrieved September 8, 2013. ↑ Gary Klein, Opener against Idaho is Holt's legacy, Los Angeles Times, August 27, 2007. ↑ Matt Baney, About to renew acquaintances, Lewiston Tribune, August 29, 2007. ↑ Meehan, Jim (December 21, 2006). "Akey a change of pace". The Spokesman-Review. Spokane, Washington. p. C1. Retrieved April 20, 2012. ↑ Coleman, Scott (October 21, 2012). "Robb Akey 'relieved of his duties', Jason Gesser interim coach". SB Nation. Retrieved October 26, 2012. ↑ Wright, Josh (4 December 2012). "Vandals name Paul Petrino new football coach". The Spokesman-Review. Retrieved 4 December 2012. ↑ Brown, Bruce (August 20, 1975). "Another View". Spokane Daily Chronicle. Washington. p. 45. ↑ "For the record; Idaho, Wash. St. game erased". Lakeland Ledger. Florida. Associated Press. August 21, 1975. p. 3B. ↑ "Just forget it". Spokesman-Review. Spokane, Washington. Associated Press. August 22, 1975. p. 31. ↑ "WSU-Idaho series has sparkling past". Lewiston Morning Tribune. Idaho. October 22, 1959. p. 13. 1 2 "WSU-Idaho grid series diminishes". Spokane Daily Chronicle. Washington. Associated Press. January 21, 1978. p. 10. ↑ "Become a University of Idaho Tradition Keeper". Student Alumni Relations Board - University of Idaho. p. 3/7. Retrieved September 15, 2013. ↑ ""Win Made Us Ball Club," says Skip Stahley". Spokane Daily Chronicle. Washington. October 25, 1954. p. 17. ↑ "WSC walks". Gem of the Mountains, University of Idaho yearbook. 1955. p. 26. Retrieved August 16, 2012. ↑ "Battle of the Palouse - Losers' Walk". Washington State University Libraries' Manuscripts, Archives, and Special Collections. (video). November 3, 1959. Retrieved September 15, 2013. ↑ Fry, Richard B. (March 17, 2004). "The Smilin' Irishman". Cougfan.com. Retrieved September 15, 2013. ↑ "Mud replaces turf in football's annual Battle of Palouse in Moscow". Lewiston Morning Tribune. Idaho. (photos). October 23, 1966. p. 14. ↑ "Kennedy en route to a TD". Spokane Daily Chronicle. Washington. (photo). October 24, 1966. p. 18. ↑ "Cougars: Akey talks of commitment at Idaho". The Seattle Times. April 15, 2008. ↑ Murphy, Brian (October 21, 2012). "Vandals fire Akey after 1-7 start". Idaho Statesman. Boise. Retrieved October 22, 2012. ↑ "Cougars add Idaho to 2013 football schedule". Washington State University Athletics. May 1, 2012. Retrieved August 16, 2012. ↑ "Idaho to play at Washington State in 2020, cancels SJSU series". 2016-08-23. Retrieved 2016-09-20. ↑ "Ostyn says Pacific cost major status". Spokesman-Review. Spokane, Washington. Associated Press. August 9, 1967. p. 15. ↑ "NCAA ups 4 colleges". Pittsburgh Post-Gazette. Associated Press. July 2, 1969. p. 22. 1 2 "Axe falls on Idaho football program". Ellensburg Daily Record. Washington. UPI. December 7, 1973. p. 7. ↑ Johnson, Bob (January 31, 1964). "Vandals versus Big Sky". Spokane Daily Chronicle. Spokane. p. 11. ↑ "Only winning will satisfy Idaho this gridiron season". Spokesman-Review. Spokane, Washington. September 14, 1965. p. 18. ↑ Payne, Bob (October 23, 1965). "Idaho opens campaign for Big Sky crown". Spokesman-Review. Spokane, Washington. p. 11. ↑ Johnson, Bob (November 27, 1972). "Even 110 rides too few". Spokane Daily Chronicle. Washington. p. 17. 1 2 "Idaho bid is rejected again". Spokane Daily Chronicle. Washington. Associated Press. July 17, 1973. p. 15. ↑ "Idaho given PCAA bid". Spokesman-Review. Spokane, Washington. Associated Press. June 8, 1973. p. 24. ↑ "League accepts Vandals; Big Sky vote key factor". Spokane Daily Chronicle. Washington. Associated Press. June 8, 1973. p. 17. ↑ Payne, Bob (July 22, 1973). "Robbins:'Gotta say something...'". Spokesman-Review. Spokane, Washington. p. 1-sports. ↑ "Idaho board delays withdrawal action". Spokesman-Review. Spokane, Washington. Associated Press. June 16, 1973. p. 16. ↑ "State board approves Idaho becoming FBS independent". USAToday. 2012-08-17. Retrieved 20 October 2012. ↑ Murphy, Brian (9 October 2012). "WAC adds Utah Valley, CSU Bakersfield; Will it be able to keep Idaho?". Idaho Statesman. Retrieved 20 October 2012. 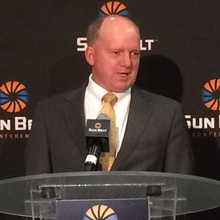 ↑ "Sun Belt Football to be 10 Teams in 2018". Sun Belt Conference. Retrieved March 1, 2016. ↑ "Idaho Moving Football to Big Sky Conference". Big Sky Conference. Retrieved April 30, 2016. ↑ "Idaho Conference Championships". College Football Data Warehouse. Retrieved 2010-12-23. ↑ "FCS Championship History (Known as I-AA from 1978–2006)". The FCS College Football Weekly Preview. Retrieved 2010-12-23. ↑ "John Friesz". College Football Hall of Fame. Retrieved 2010-12-23. ↑ "Mark Schlereth Statistics". Pro-football-statistics.com. Retrieved 2010-12-23. ↑ "Idaho Vandals Football Schedules and Future Schedules". fbschedules.com. Retrieved 2016-02-03.